Responsible for bringing us dysfunctional couple The Twits, eccentric dream maker Willy Wonka and child genius Matilda, Roald Dahl is undeniably one of the world’s most fantastic children’s authors. This year would have marked his 100th birthday and celebrations more marvellous than George’s medicine will be taking place nationwide. The Southbank Centre’s Imagine Children’s Festival runs from 10-21 February (southbankcentre.co.uk). Highlights include a narration of Dahl’s last book The Minpins, with a live orchestra playing music from Sibelius (£5-£10), and The Wondercrump World of Roald Dahl exhibition, on until 3 July and revealing unusual facts about the author – some stranger than his fiction (£8-£11). 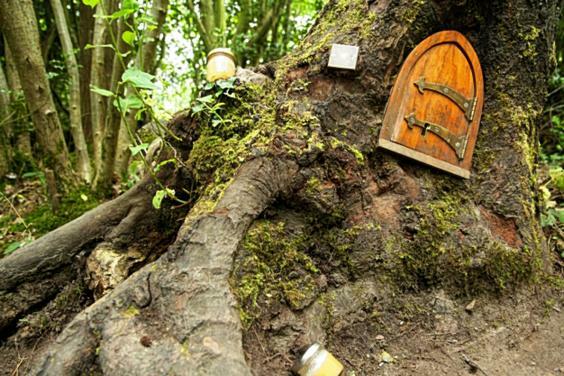 Further afield, National Trust property Tatton Park in Cheshire is gearing up for Roald Dahl 100. There will be a Splendiferous Scarecrow Festival in the gardens, featuring scarecrows inspired by some of the former fighter pilot’s best-loved protagonists (13-21 February), and an exhibition of book covers from his titles, which have been published worldwide more than 200 million times (19 March-30 October). Entry to the estate costs £5.50-£11. Dahl’s birthday falls in September, and to mark the occasion the City Of The Unexpected festival will be held in his hometown Cardiff (17-18 September), with site-specific theatre shows and a spectacular jamboree overseen by Nigel Jamieson, director of the Tin Symphony in the Sydney Olympic Games opening ceremony. Stay at the smart St David’s Hotel Spa on the Cardiff Bay waterfront (£94; thestdavidshotel.com). Also in Wales, the Lolfa Cynin BB in St Clears, Carmarthenshire, has created a special children’s afternoon tea inspired by Dahl’s characters. Scrumptious sandwiches, popping-candy cupcakes and edible teacups filled with chocolate mousse are all on the menu. There are prizes for the best fancy dress. (Tea costs £10-£15, and an overnight stay for a family starts at £145; lolfa-cynin.co.uk). If you want to holiday in true Dahl style, book The Cabin in Tenby where he spent every Easter from 1922-1939, going for donkey rides on the beach and collecting winkles for tea. The three-bed Grade II listed property sleeps six and costs from £572 for seven nights with Coastal Cottages (coastalcottages.co.uk). She was born in South Kensington, London, on 28 July 1866, but it was the rolling hills of the Lake District that inspired Beatrix Potter’s menagerie of storybook stars. Now, 150 years later, many of the buildings she owned and frequented are open to the public, with several events planned for this anniversary year. One of the first places Potter visited on holiday with her family was Wray Castle, by Lake Windermere, which serves as the setting for the National Trust’s inaugural Children’s Book Festival, from 4-6 March (£5). Young bookworms can enjoy storytelling sessions from celebrity authors, take part in craft workshops, or enter Peter Rabbit’s warren in the old servants’ quarter, open year round. Potter used the proceeds from her first book, Peter Rabbit, to buy 17th-century Hill Top farmhouse, near Sawrey. It is now owned by the National Trust and open to visitors (£5-£11). Explore the gardens free of charge and discover the rhubarb patch where Jemima Puddle-Duck laid her egg and the lawns where Tom Kitten and his sisters played. On 28 July, there’ll be a Big Birthday Picnic in the grounds. Stay at the nearby Tower Bank Arms, a pub and snug BB, which featured in The Tale of Jemima Puddle-Duck (from £95 per night; towerbankarms.co.uk). 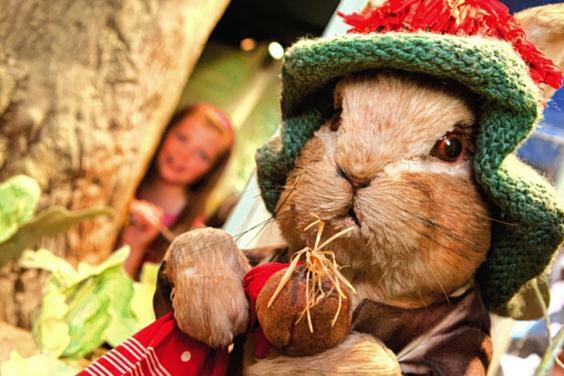 Bowness-on-Windermere’s The World of Beatrix Potter Attraction has several interactive displays bringing 23 stories to life. From 27 June to 4 September, a Beatrix Potter Musical Adventure will be showing in the Old Laundry (£6‑£8; hop-skip-jump.com). A mile away is Lindeth Howe Country House Hotel, once owned by the author, who wrote the tales of Timmy Tiptoes and Pigling Bland while living here. The hotel offers a two-night, half-board Potter-themed package including entry to several attractions from £82 per person, per night (lindeth-howe.co.uk). Most children would probably prefer to zap computer zombies, but there’s something timelessly pleasurable about Poohsticks. The simple pastime, which involves throwing sticks into a river from one side of a bridge then rushing to the other side to see which emerges first, even spawned the World Poohsticks Championships. Creator AA Milne, whose Winnie-the-Pooh stories celebrate 90 years of publication in 2016, couldn’t have imagined such a legacy. Take the family to Poohsticks Bridge, close to Upper Hartfield in Ashdown Forest, one of many Sussex spots linked to the books. Milne’s son Christopher Robin, who, along with his famous teddy, inspired the stories, grew up in the area. It’s easy to imagine him playing in Roo’s Sandy Pit (a quarry) and 100 Acre Wood (a pine plantation called Five Hundred Acre Wood). Boasting the UK’s largest collection of Pooh-phernalia, the Pooh Corner gift shop can recommend themed tours. Mapped walks can also be downloaded from the Ashdown Forest website (ashdownforest.org). Overlooking the South Downs, the two-bedroom Oak Lodge cottage is a great place to stay. Blue Chip Holidays offers three nights from £248 (bluechipholidays.co.uk).